This American flag fishing has a mesh breathable design. It is perfect for fishermen of all types. The red stripes are printed with many species of fish that are commonly fished for. It is available in multiple colors, which you can see under related products. A mesh ball cap is nice for keeping the sun’s rays off the face while fishing. This mesh makes the hate breathable and ideal for even the hottest days . It has an American flag depicted on the front, only the stripes of the flag are made up of fish. The hate comes in two adult sizes (small/medium and large/XL). 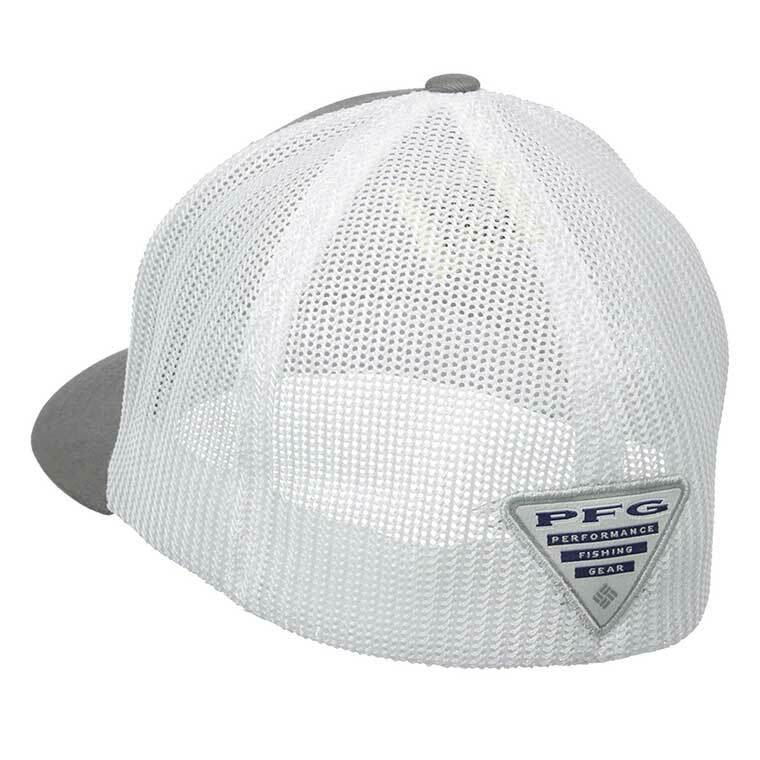 The flex fitted hat is super comfortable and has the Columbia PFG labeling on the back. The american flag fishing hat is made from 98 percent cotton and 2 percent polyurethane (it is machine washable). If you have any questions or comments let us know below. The link on the top of the page takes you to Amazon where you can read a lot of customer reviews.